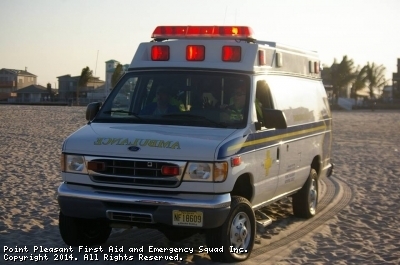 Our First Responder Vehicle is equipped with a cabinet which folds down to allow for the transporting of a patient off the beach or if limited manpower is available. 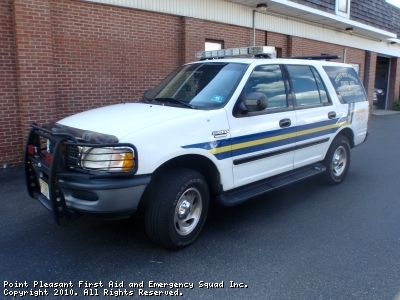 As a 4x4, this vehicle is capable of driving on the beach which helps provide a command post on the beach for long dive and/or surf related incidents. 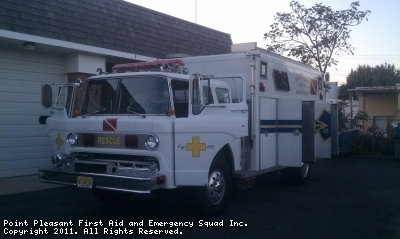 Ambulance used for storm rescue and beach rescue. 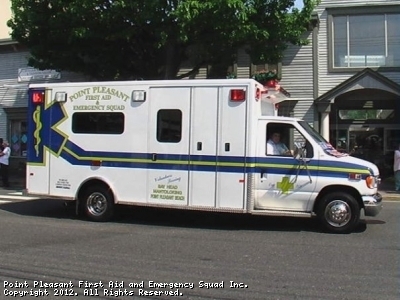 Contains all necessary equipment as on other ambulances, but more compact and has off road capabilities. 344 is our newest of the fleet, a sister ambulance to 345, and is equipped with a 700 lb capacity power lift stretcher. 345 like most of our units, features a double squad bench which is pretty unique to our area. All equipment that may be needed at an incident is accessible from outside the rig. Equipped with a 700 lb capacity power lift stretcher. Our Dive Team Vehicle is equipped with a cabinet which folds down to allow for the transporting of a patient off the beach or if limited manpower is available. As a 4x4, this vehicle is capable of driving on the beach which helps provide a command post on the beach for long dive and/or surf related incidents. 347 is operated by our squad's Dive Team. 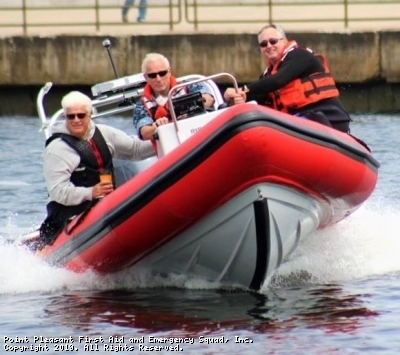 It holds all of the diver's gear and rescue equipment utilized in water rescues. 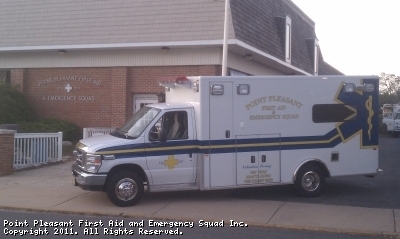 Two-stretcher ambulance; First due to fire calls and motor vehicle collisions. Also first due response to dive related incidents and other mass casualty incidents. Capability to transport 4 patients on backboards or more ambulatory. Rescue 34 is the boat utilized by the dive team and in surface rescue operations. 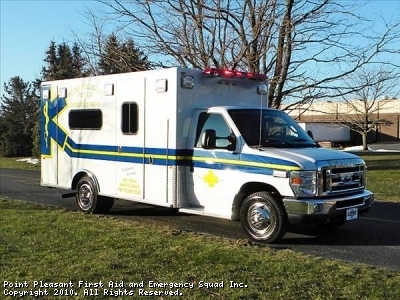 Its powered by a 50 hp Honda tiller motor and has an open configuration which allows it to transport patients on backboards with some additional equipment on board. This site has been viewed 168,313 times.